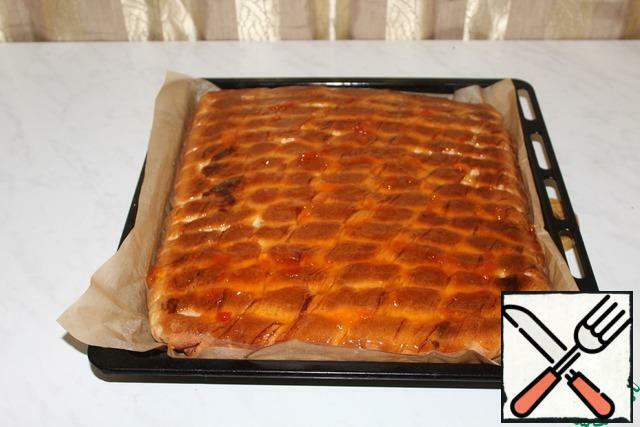 Let's prepare a very tasty muffin roll with a chocolate layer and apricot jam. The roll is very interesting molding. 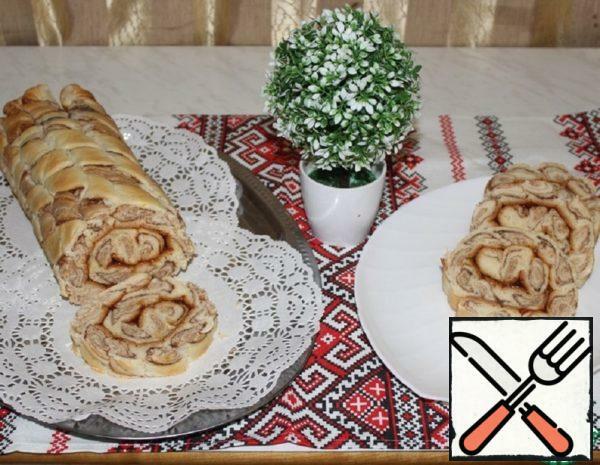 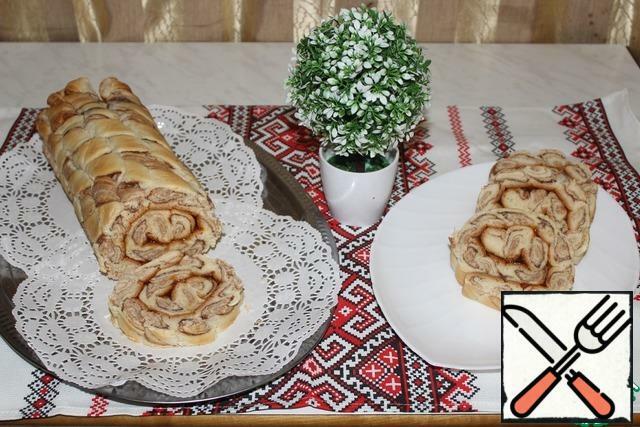 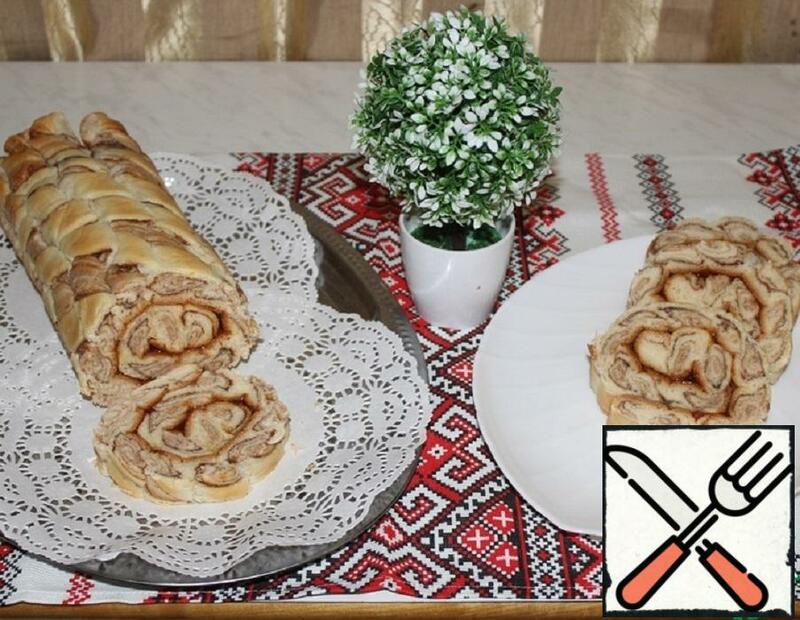 This roll is perfect as a holiday table, and just for tea. 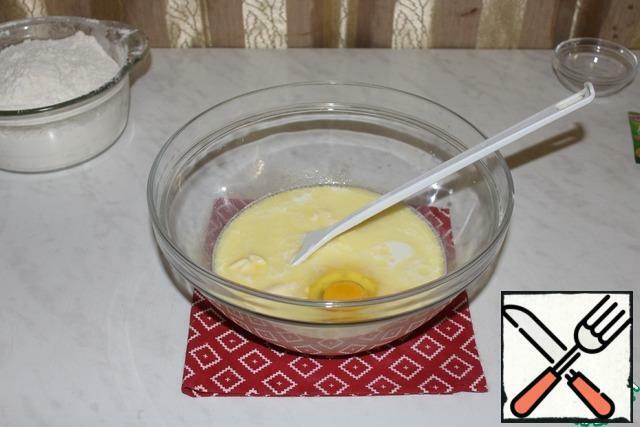 In warm milk add sugar, egg, salt, vanilla and soft butter. Add yeast to the sifted flour. 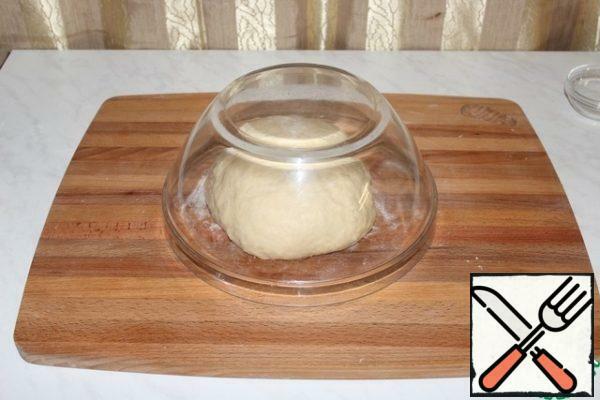 Cover with a Cup and let rest for 10 minutes. And knead the dough for 10 minutes. 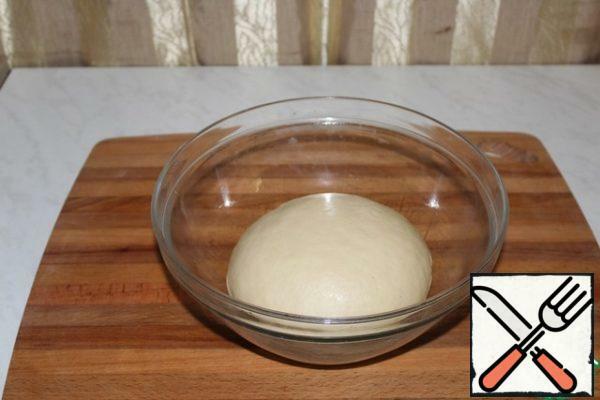 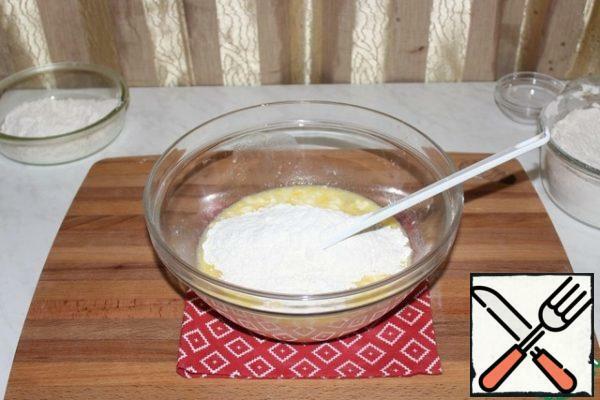 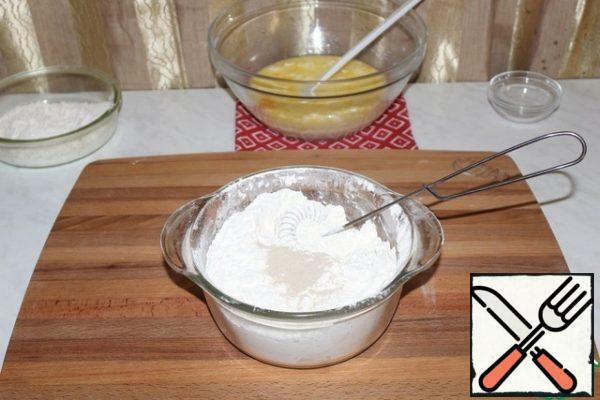 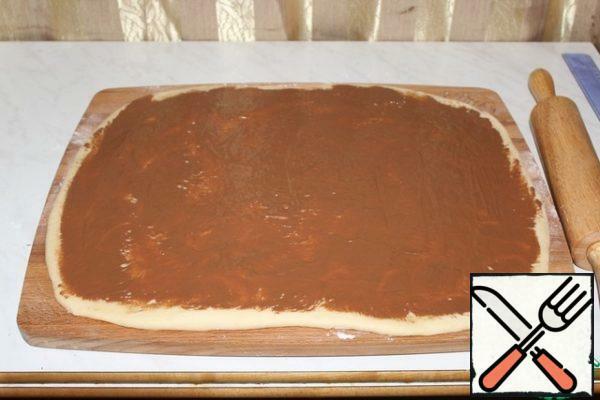 Spread the dough in a bowl and let come 1 hour. 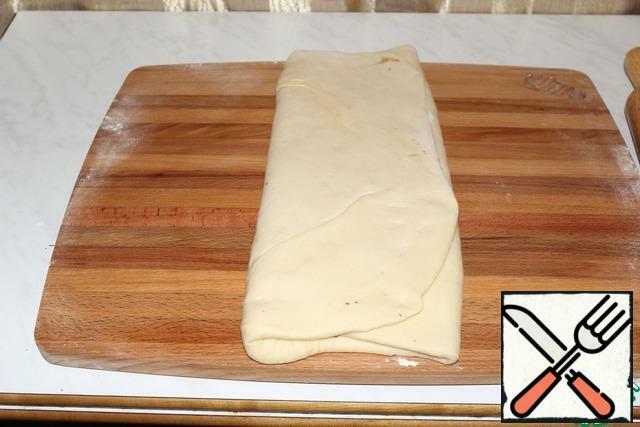 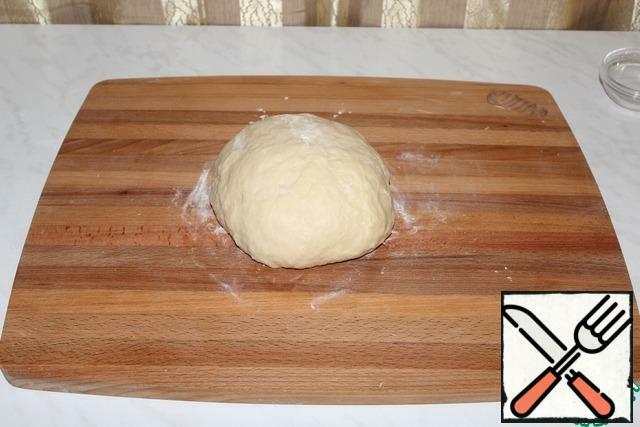 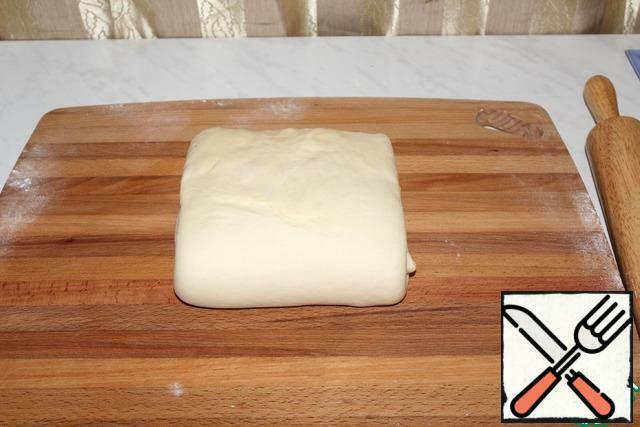 Roll out the dough in a layer thickness of 1 cm. One side of the dough is folded to the middle. 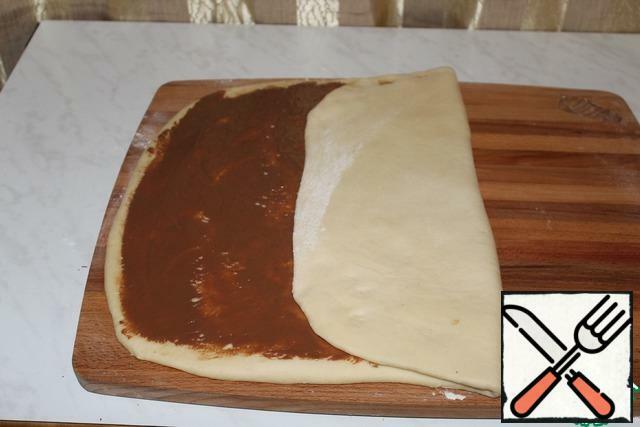 Cover with the other side of the dough. 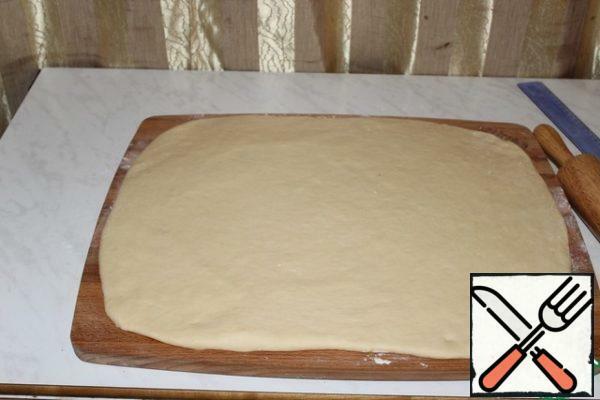 Fold the top of the dough to the middle. Cover with the bottom part. Roll out into a rectangle the size of the pan. 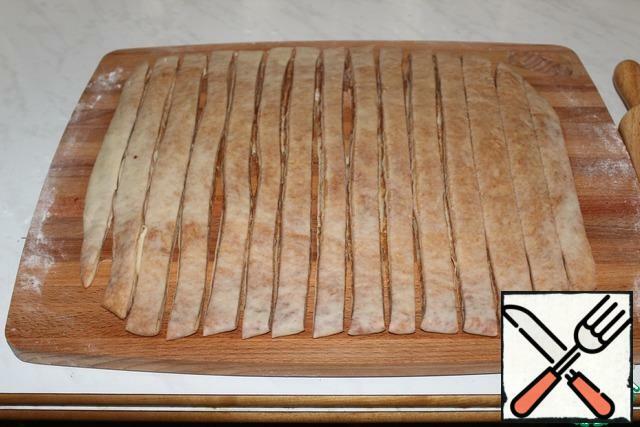 Cut into strips 1.5 cm wide. 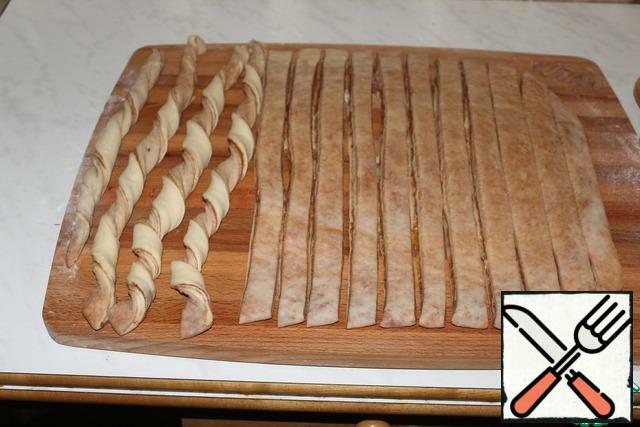 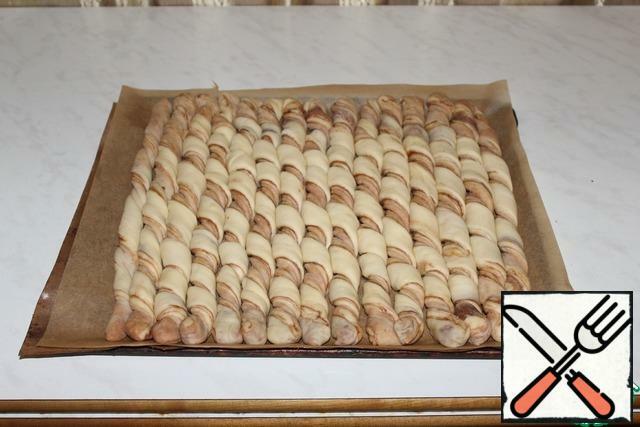 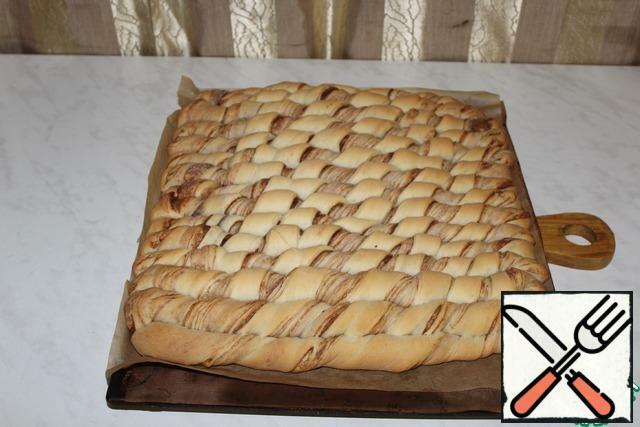 Twist the strips into spirals. 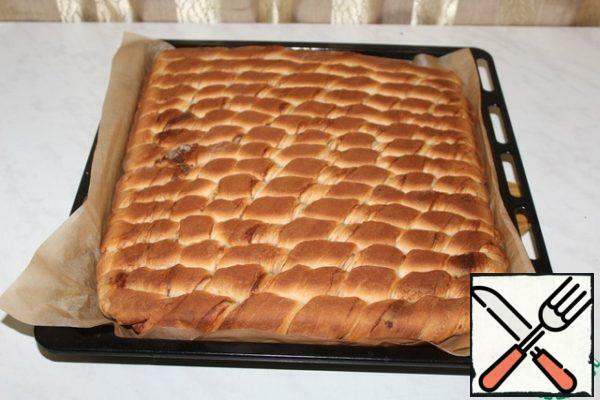 Spread on a baking sheet tightly to each other. 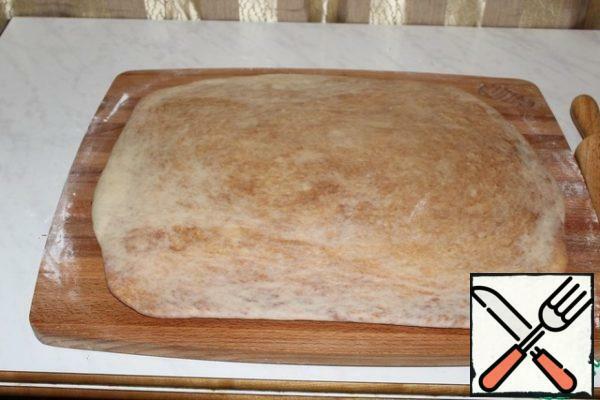 Leave for 20 minutes for proofing. 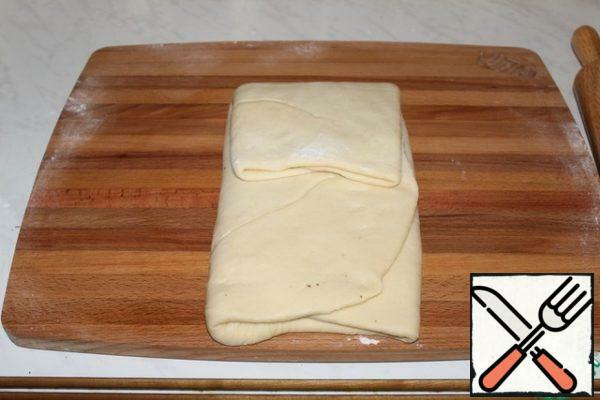 Still hot turn over with another pan. 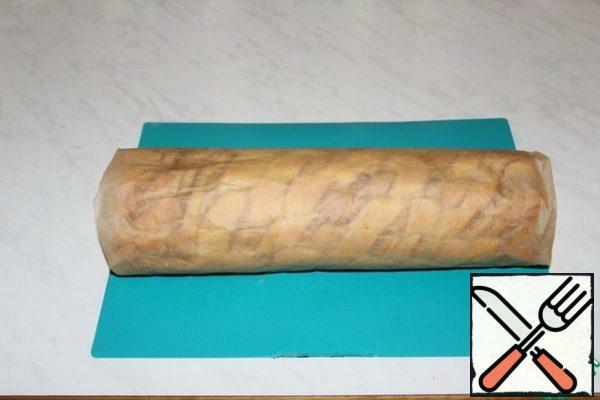 With the help of parchment rolled into a roll. Allow to cool completely.